Optimiza follows proven and well-defined implementation and delivery methodologies that can be applied to a variety of sectors. Our vast experience in delivering technology and business transformation projects has enabled us to develop our own customized approach, which we have successfully tested and implemented in hundreds of projects across the MENA region. The agility of our approach has enabled us to provide fast and efficient implementation of technology and consulting solutions with added benefits and rapid returns. While we ensure bridging the gap between business and technology, we believe in simplicity and adding value. Our integrated approach ensures the alignment of the methodology with the needs of diverse industries. The PMO is an entity within Optimiza responsible for maintaining the adopted Project Management methodology. It acts as the sole reference for project progress and status. The PMO deploys industry standards and the best practices of project management. Our PMO offers services that help organizations set up their own PMO departments. Our PMO team includes a number of highly qualified Project Managers (PMs) and Project Coordinators (PCs) with extensive experience in managing IT projects and hands-on experience in system integration assignments and PMO operations. The PMO team manages projects, maintains processes, and offers support and training to project resources and delivery team members. The PMO team conducts scheduled quality reviews on projects to ensure adherence to methodology and to identify process improvement opportunities. The PMO deploys at tool developed in-house, to maintain the PMO processes, projects data and information resources. It also generates regular reports and dashboards. The Optimiza Project Management team has been involved in setting up various types of PMOs, ranging from a simple Project Management Office to complex Program Management Offices, Project Management Centers of Excellence, Project Management Monitoring Offices, and Enterprise Project Management Offices. This approach has been implemented by our teams for the establishment of the Arab Bank EPMO to monitor projects implemented in Jordan and throughout the Arab Bank network in the region and also for the Union Bank to monitor the progress of new strategic initiatives. This approach has been implemented at the Social Security Corporation (SSC). The SSC has decided to adopt new strategies that have been translated into manageable initiatives. The PMO has been designed to deliver and monitor those transformation initiatives and projects. 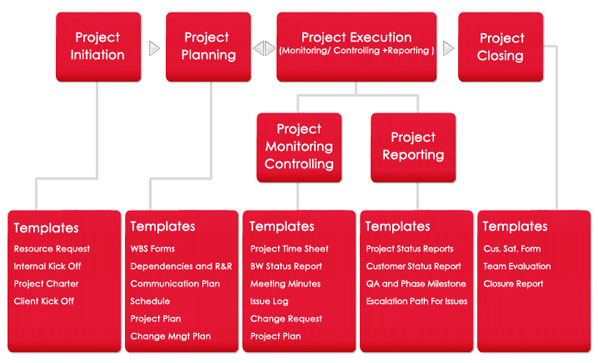 Set up a Project Management Monitoring Office (PMMO) based on Design, Build, Operate, and Transfer model. This approach is utilized for the purpose of establishing a monitoring unit for ongoing projects. It determines the health of each project individually and the status of multiple projects collectively within several portfolios in a dashboard format. This monitoring tool reports to the management and/or other stakeholders as determined by the project steering committee. Project health (status) is determined by continuously updated completion percentage compared to the planned value as well as its cost, quality, and schedule variance, in addition to the root cause of any discrepancy. It also includes reporting major risks and issues and corresponding mitigation plans. 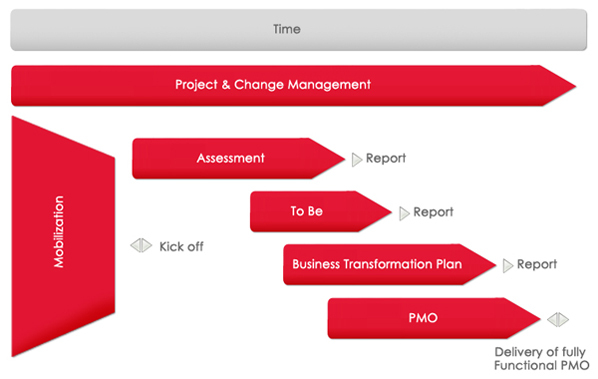 Setup a Project Management Office as part of a business transformation. 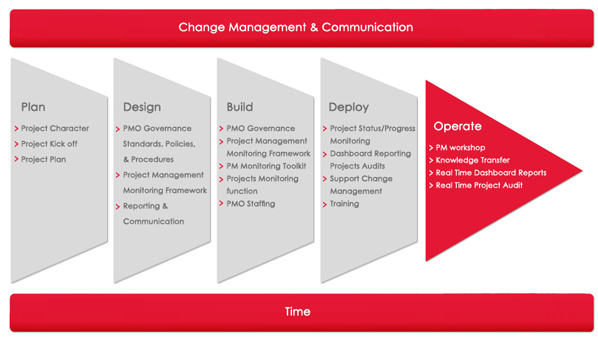 This approach is tailored toward establishing a PMO as part of business transformation that takes on the responsibility of transforming a business by deploying and monitoring certain initiatives in support of this transformation. PMO staff outsourcing – Simple and Complex Project Management Offices. Our Project Management team has been involved in upgrading and running existing PMOs for organizations such as Jeddah Municipality. This approach is limited to reviewing existing Project Management capabilities, tools, and policies and upgrading them in addition to running the PMO on behalf of the client for a certain period of time while training existing staff and transferring knowledge. The Quality team is the unit responsible for ensuring that deliverables are reliable, meet business and technical requirements, and that adopted methodology is adhered to. The quality team members work closely with the delivery project teams, however, they are independent of the delivery team, reporting directly to the Quality manager. The Quality team is responsible for planning and carrying out the testing of applications and conducting regular audits and reviews so as to ensure that the framework is followed and also to identify process improvements opportunities. 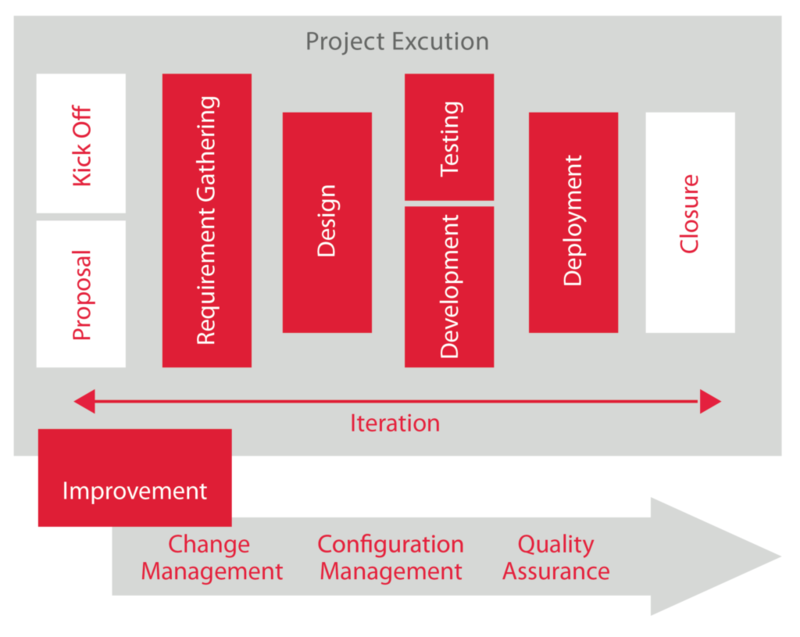 The diagram below depicts the quality management framework followed to test and assure the quality of Optimiza’s projects. QA (Quality Assurance); a planned and systematic pattern of all actions necessary to provide confidence that an item or product conforms to requirements. QC (Quality Control); a series of inspections, reviews, and tests used throughout the software process to ensure each work product meets its requirements. CMMI (Capability Maturity Model Integration);an internal capability to adhere to industry standard practices in managing work/projects. Optimiza adopts CMMI’s best practices and was the first company in Jordan to achieve Capability Maturity Model Integration (CMMI) Level 3 accreditation in 2011. 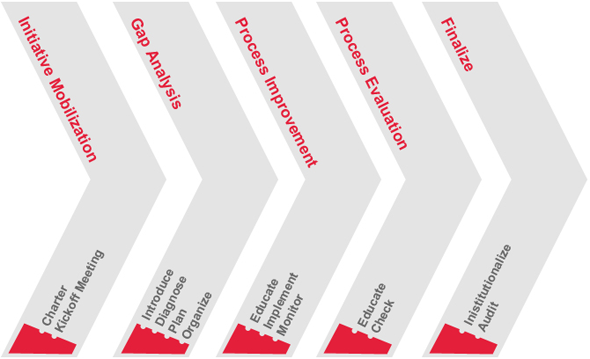 The CMMI is currently considered the most widely accepted and adopted process improvement approach worldwide. It provides organizations with the latest best practices for product, service development, and maintenance to enhance the Quality Assurance processes. Applying the CMMI model compels Optimiza to commit to a number of instrumental procedures and assessments. Achieving CMMI accreditation is a great advantage for both clients and employees of Optimiza. It improves the quality of products and services, and improves the productivity of companies by enhancing work procedures. It also promotes and reinforces company capacity to predict projects schedules, achieve higher profits, and enhance risk management capability. CMMI practices cover various categories of work practices in Software Engineering, Project Management, Process Management, and Support. Applying these best practices assures improvement in the quality of delivered products and services and improvement in schedule accuracy and allows us to reach a higher level of client satisfaction. Optimiza has evolved its own software development framework, the Optimiza Development Framework (ODF), integrating the accumulated experience of its various software engineering teams that have been helping to build software solutions for various clients in the region over the last decade. As a CMMI Level 3-accredited company, Optimiza has adopted CMMI best practices in its development framework to address the various stages of the application development lifecycle and to cater to the needs of today’s technology, development methodology, and business challenges.